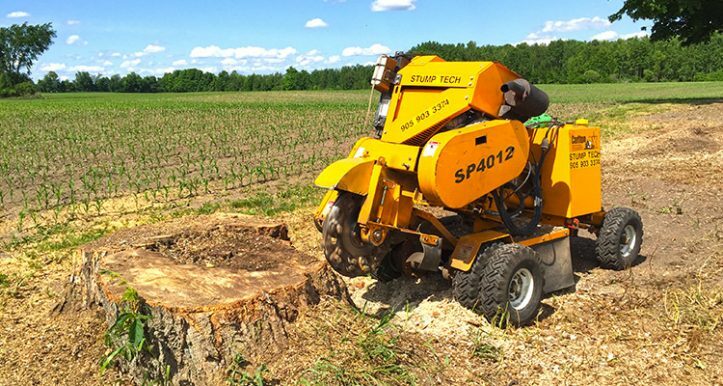 Fast & efficient stump removal service for all of Port Perry. Get your property in top shape this spring by getting rid of those dangerous and ugly stumps. StumpTech team members have more than 5 years of experience removing stumps from all different kinds of properties and they can get rid of those stumps quickly and safely. Stumps aren’t just a blight on your property. They can be dangerous for kids or pets, or anyone that comes onto your property like utility workers. Getting rid of those stumps doesn’t have to break your budget. Call us today to get a custom estimate for stump removal. You might be surprised at how affordable it is to let professionals remove those stumps for you. 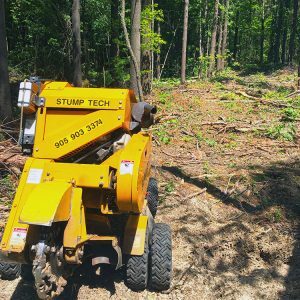 At StumpTech our crews love a challenge so if you have a large property or if you have lots of stumps that need removing we are up to the job. There is no job that our experienced and well trained techs can’t handle. And we make sure that they have the best professional grade equipment so that they can take on any challenge. StumpTech charges a minimum rate of $150 (+HST) for any work that is done. We don’t charge for estimates. That minimum fee can include more than one stump. Often homeowners don’t need to pay more than the minimum fee for stump removal unless they need an exceptionally large stump removed or need many stumps removed. 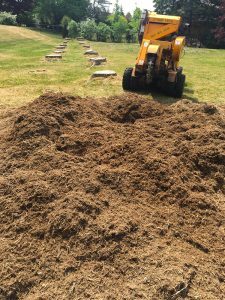 Why Hire A Professional Port Perry Stump Removal Company? You have probably gone online and looked at videos to see how homeowners can remove stumps on their own. And it is possible to do some DIY stump removal. But not only is that dangerous, it can also backfire on you in a big way. There is more to a stump than what you see above the ground. Beneath the grounds are tangled roots and other things that can affect stump removal. Professional stump removal techs know how to figure out how deep to dig in order to get all the underground roots out so that that the stump is fully removed. It’s difficult for an average homeowner to do that. Professionals have the right equipment, the experience, and the training to remove stumps quickly and easily. If you don’t have professional experience removing stumps you shouldn’t attempt DIY stump removal. You will probably end up wasting a lot of time and money. And you may damage your property or get hurt in the process of trying to remove stumps by yourself. Don’t take chances. Call professional stump removal techs.